2015 S5 PREMIUM PLUS! SHARP CAR! WE SHIP NATIONWIDE! 2016 AUDI S5 PREMIUM PLUS QUATTRO FOR SALE. GORGEOUS COLOR COMBO! WHITE EXTERIOR WITH BLACK LEATHER! 3.0L SUPERCHARGED ENGINE PRODUCING 333 HORSEPOWER! CLEAN CARFAX SHOWING ONE PREVIOUS OWNER, NO REPORTED ACCIDENTS, AND ROUTINE SERVICE! 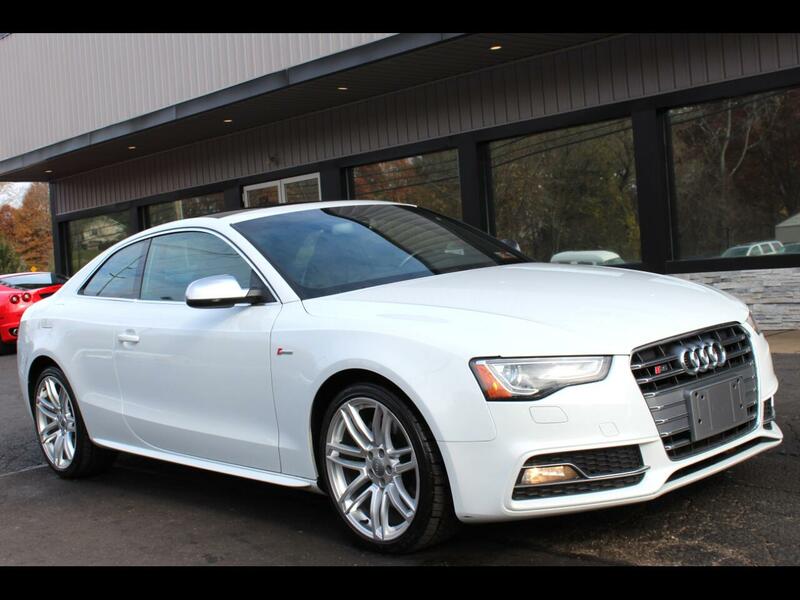 NICELY OPTIONED WITH HEATED FRONT SEATS,BACK UP CAMERA, NAVIGATION, BLUETOOTH, SATELLITE RADIO READY, BLIND SPOT MONITOR, 19" AUDI WHEELS, HID HEADLIGHTS, KEYLESS START AND MORE! Message: Thought you might be interested in this 2016 Audi S5.